Energy balls have become a firm favourite snack in our house. 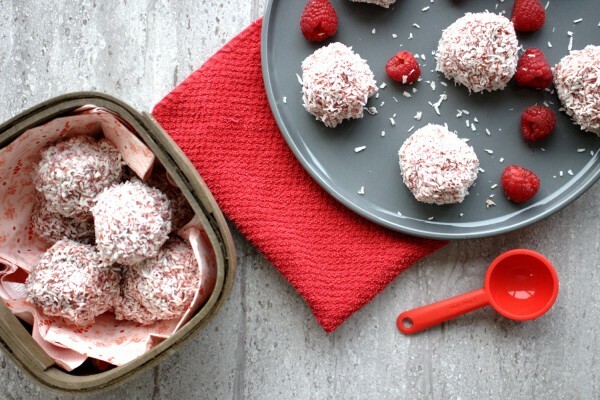 They are quick, easy to make, taste delicious and give us a healthy energy boost when we need it. I often make a batch on a Sunday evening and they do us the whole week for snack times. This recipe for Raspberry Jam Energy Balls does take a little time because of making the raspberry jam. I promise you it will be worth it. Try the leftovers for breakfast with my homemade granola and Specific Carbohydrate Diet (SCD) probiotic yoghurt. It is seriously delicious! When it comes to the dates I use I am picky. 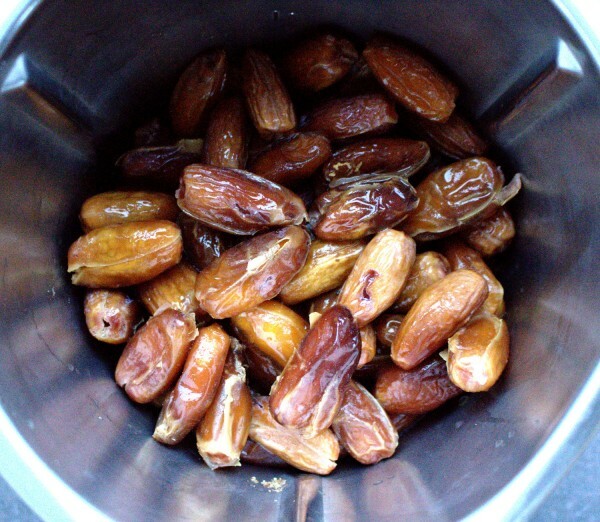 SCD allows either medjool or Californian dates and they must be loose with no syrup or nothing added. Medjool are my absolute favourite for both their texture and taste but they are so expensive to buy so sometimes I buy organic dates in the health shop. They are smaller and not as juicy so must definitely be soaked prior to using. Regardless where I get them, dates are expensive-the cost of good health!!! 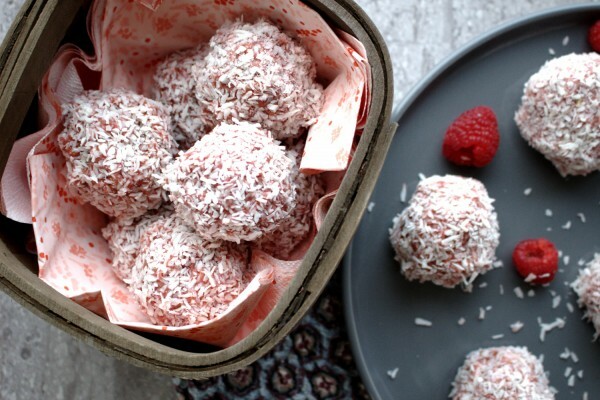 These freeze very well so you can make an extra big batch and just take out to defrost a few hours before you want to eat them or in the fridge overnight if you prefer. I have said this recipe makes 20-25 but the ones I made were quite large so you can make more smaller ones if you wish. Raspberry Jam Energy Balls are a great, healthy snack to make for kids. My daughter loves these and I feel good about giving her a snack that we made together at home with wholesome ingredients. The Specific Carbohydrate Diet (SCD) can seem so time-consuming at first because you have to make everything from scratch but it has honestly brought our family much closer together. We spend so much time in the kitchen together: experimenting, tasting, devouring! Now, that can only be a good thing! 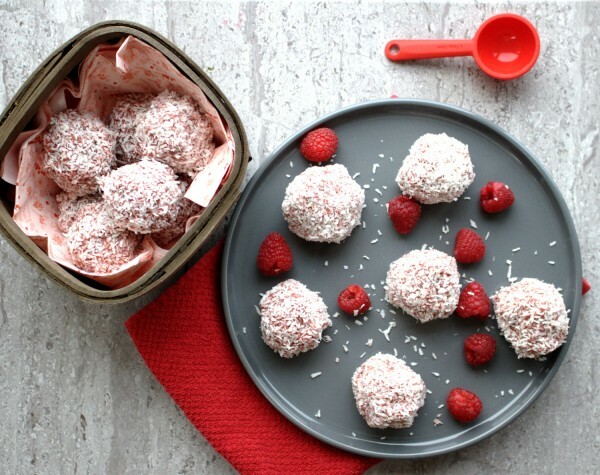 Delicious raspberry jam & date energy balls packed with natural sugars for a healthy boost! 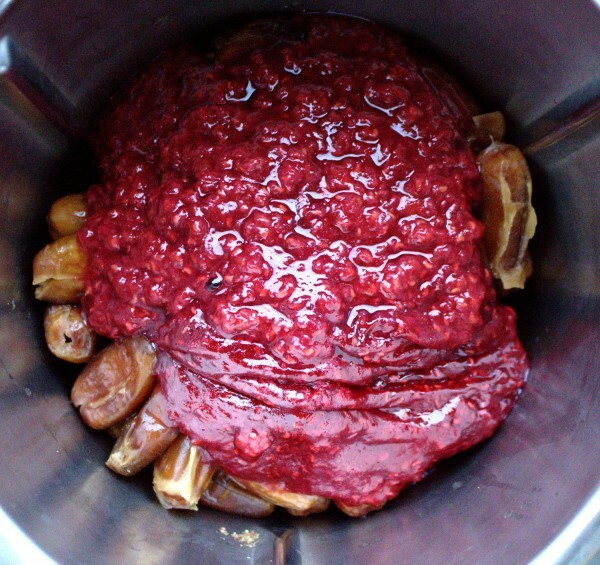 While the dates are soaking, make the raspberry jam. Place the raspberries, orange juice and honey in a saucepan on a low-medium heat. Once it starts to boil, turn down to a simmer and continue to simmer for 15-20 minutes, stirring often. Pour the jam into a pyrex or other heatproof bowl and allow to cool to room temperature. In a powerful blender, blend the jam with the dates. 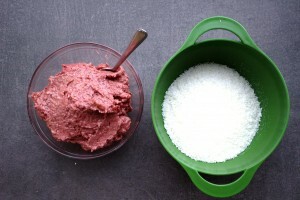 Remove the mixture to a bowl and in another bowl, place the desiccated coconut. Using a spoon to help, form the mixture into balls and roll each in desiccated coconut. For best results, place in the fridge to firm up a little before eating.